This is a pen. 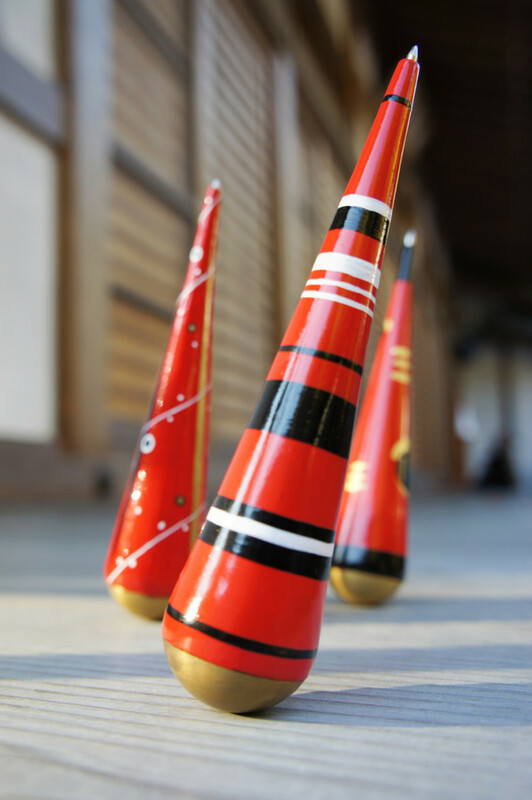 “Okiagari koboshi” (tumbling bonze boy) and “Akabeko” (red cow) is a traditional lucky charm common in Aizu region of Fukushima prefecture. 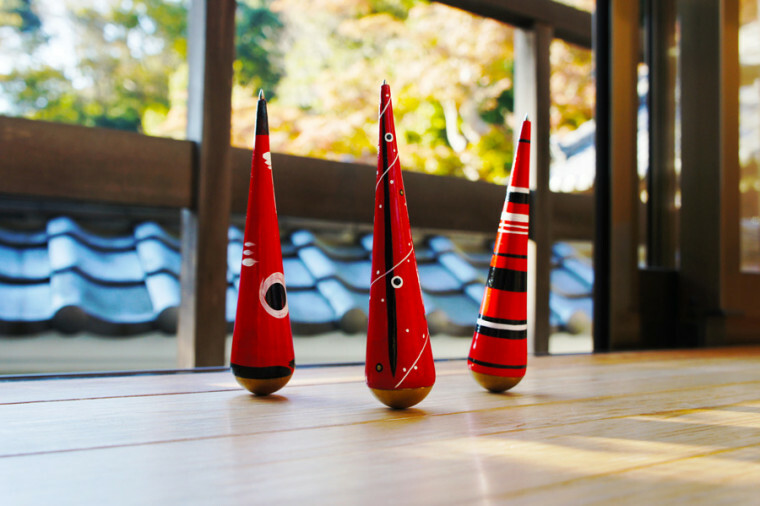 They are made of Hariko or papier mache, by pasting paper on top of mold made of wood or clay. Made out of paper, they are very light and by tucking weight inside, Okiagari koboshi would get up every time it is tipped, and Akabeko would lambently move its head left and right. 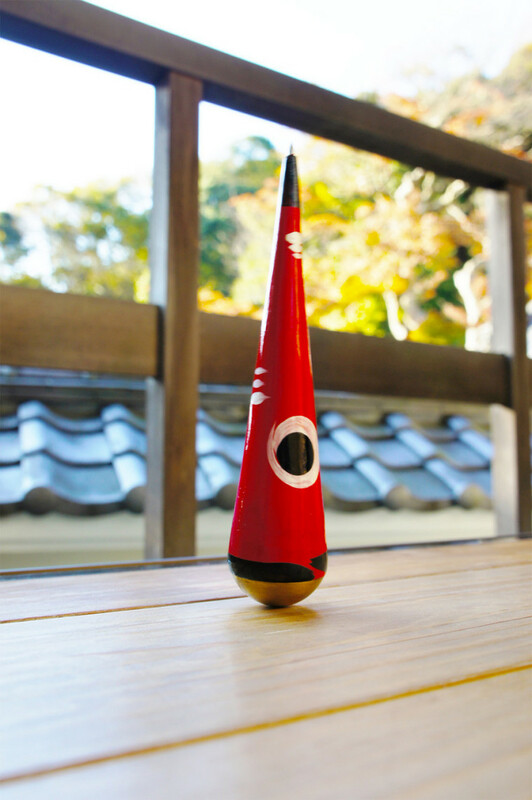 Being inspired by these two good luck charms, we have designed a pen that roots for the future of Tohoku. Since it stands upright on its own, it takes up less space and its back and forth movement renders enjoyable desktop scenery. It would even work as a personal seismograph!